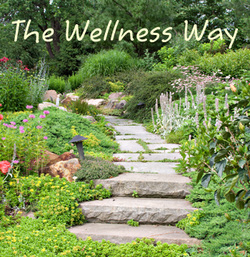 I love learning about new ways to promote health and wellness, don’t you? My focus has always been about prevention of dis-ease in my body, so I want to share with you what I’m learning about the newest approach to health and wellness through nutrition. The fields of science are called Epigenetics and Nutrigenomics. Simply put, this science is about how food talks to the genes in our cells and tells them to wake up and do what they’re designed to do without altering the gene itself!! I was looking up the scientific definitions of these words and it was way too technical for me. But for those that enjoy more of a technical description, here’s one for Epigenetics: “… The study of changes in organisms caused by modification of gene expression rather than alteration of the genetic code itself …”. And for Nutrigenomics: “… the study of how individual genetic makeup interacts with diet, especially the effects of this interaction on a person’s health …”. Which body system the inflammation shows up in determines the type of dis-ease. For example, if inflammation is in the cardiovascular system, one could have heart dis-eases, if it is in the musculoskeletal system, one could have arthritis, fibromyalgia or other degenerative joint problems and if inflammation shows up in our central nervous system one could have Alzheimer’s or other memory-challenging or neurological problems. What’s a possible solution to this underlying cause for dis-ease? Primary antioxidants!! For years I’ve learned about different foods that are high in ORAC ratingand have included them in my nutritional program. Young Living’s NingXia Red has been part of my daily regimen for years.As a secondary antioxidantit has been helpful, but science is now showing us a new, more efficient and effective way to address oxidative stress. Through Nutrigenomics, we are now able to benefit from nutritional formulas that when ingested, tell the genes in our cells to start producing primary antioxidants. The difference between secondary and primary antioxidants is simply put, secondary antioxidants are from the diet we eat and primary antioxidants are produced naturally by the body on a cellular level. And the beauty of this is, the body receives and recognizes the information directing the cells to activate primary antioxidant production because it is communicated through food rather than something synthetic. And because primary antioxidant production is being stimulated in our cells, then the oxidative stress is being addressed throughout our bodies!! I so value products or tools that invite the body to do what it’s already designed to do, don’t you?? It makes so much more sense to me to create health and wellness in this way. There is a new company, Clar8ty, that just launched a couple of weeks ago and I am blessed to know the CEO, Rick Fleshman and the COO, CalvennStarre. This is a company with a very large heart and this speaks to me in a big way!! Their first products are Calibr8 and Calibr8 Kids. I’ve been enjoying the product for 2 weeks now and all I can say is WOW!! And if you know me, I don’t get excited easily about products. Within 24 hours my body responded with a gentle but very obvious detox process. Can you imagine - it only took 24 hours!!! I did forget how incredibly sensitive my body is and started with the recommended dose of one scoop (~1 teaspoon), so after a few days when I realized what I was experiencing, I dropped the amount I was taking to ¼ teaspoon and will increase as my body adjusts to it. Other people have been taking additional sccops finding that their bodies need a "loading dose" boost. So finding what works for you and listening to your body is so important!! I’ve been keeping a journal and being aware of how my body is responding and other than the detox (this means it’s working in a good way!! ), my right hip and low back, which has been bothering me off and on for about 1 year, feels totally different!! I've also noticed that my energy is so much more balanced and my emotions as well. And when I feel more balanced, then my ability to focus and be productive is greatly enhanced!! Again, I am being in the experience with an open mind and after two weeks, I’m pretty amazed by how I feel. Who would benefit from this amazing product? Everyone!! Why? Because we all live in this toxic soup of an environment that we share and we are all affected by oxidative stress and the inflammatory changes that accompany it. For information about the product, and some amazing testimonials I recommend a couple of the webinars but they are all very information-rich!! Consider listening to the 7/15/14 and the 6/17/14 calls. You are also welcome to call or email me and I will be happy to share!! Here’s to our collective health and wellness!